Origin and Habitat: East of Rio Grande do Sul, Southern Brazil. 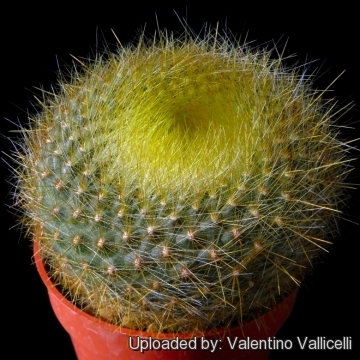 Description: Brasilicactus graessneri var. 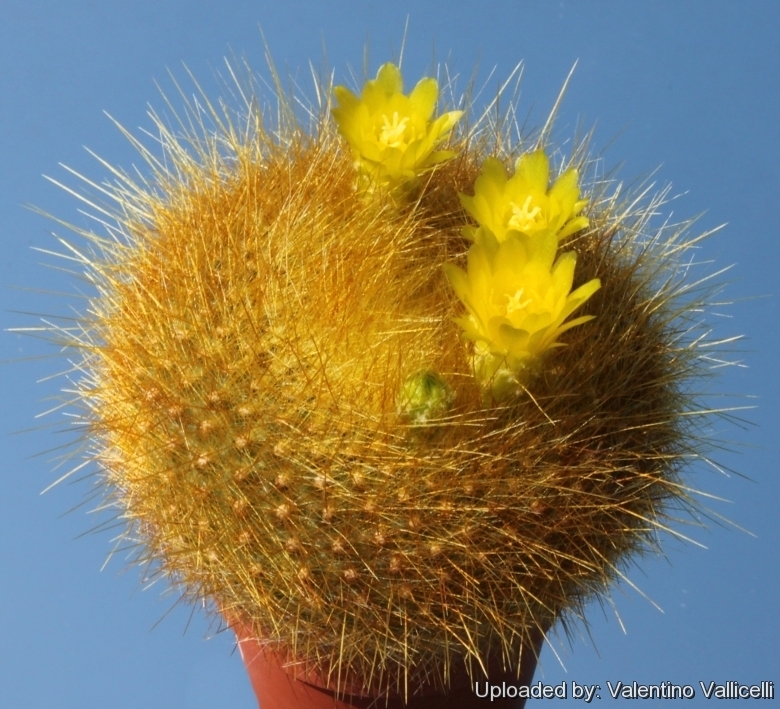 flaviflorus is one of the morphological or local forms of Parodia haselbergii subsp. graessneri, and the two plants are not readily distinguishable, if not for bright the yellow blooms (not yellowish-green or green). More likely they are one and the same species. 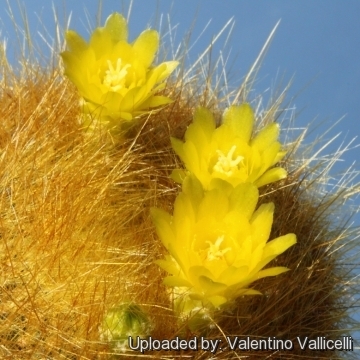 Most authors have dismissed Brasilicactus graessneri var. flaviflorus as perhaps not worthy of even varietal status, but it still has a value for a collector because they identify plants with particular characters. Stem: Spherical flattened or spherical and depressed at the top, deep green, almost completely hidden by dense spines, up to 10 cm tall, 15 cm in diameter. The crown of the plant is usually set at an angle to prevent water-sitting. Ribs: More than 30 (up to 60), low arranged in spirals. 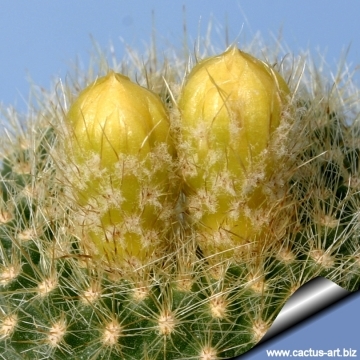 Areoles: With a short yellowhish-white wool, they are arranged geometrically. 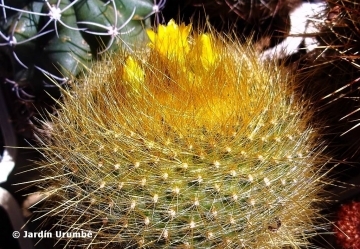 Spines: It has as many as 60 pale yellow to golden yellow spines up to 25 mm long, of which the 5 or 6 centrals are thicker, soft and bristly often with darker tips. 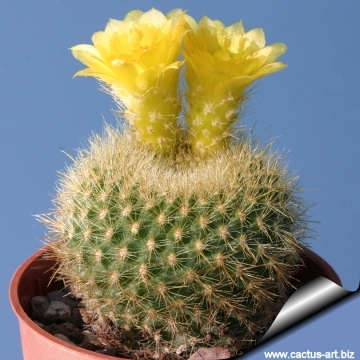 Flowers: Small yellow, up to 2,5 cm long and 2 cm wide and each can last one to three weeks. Petals semi-erect spreading and not closely surrounding the style, the stamens visible. Tube relatively long with clusters of bristles and some wool. It is self-sterile. Fruit: Spherical, about 2 cm. 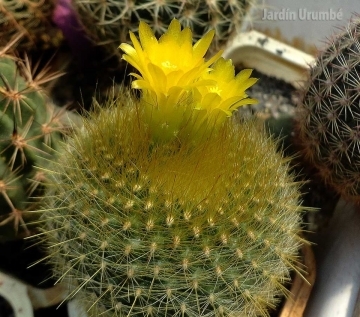 Cultivation and Propagation: Parodia haselbergii subs. 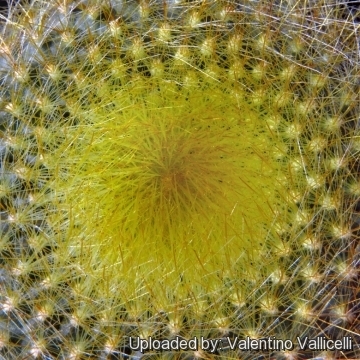 graessneri var. 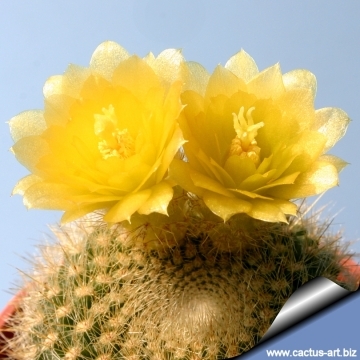 flaviflora|SN|15582]] is an easy to grow tropical cactus.